Ideal zum Füllen von Royal Icing, Zuckerguss etc. Für Cupcakes, Cake und Cookies. 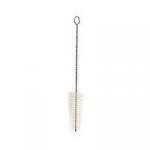 Schmale Plastic Tülle mit passendem Deckel zum Verschliessen. Es können daran alle gängigen Tüllen montiert werden. Wir benutzen diese Tuben in den Workshops. Set besteht aus zwei Flaschen und messen je ca. 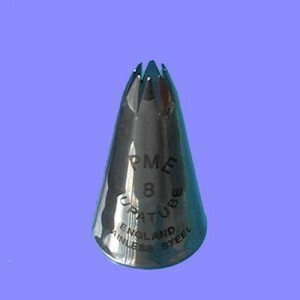 14.5 x 3.5cm. Im praktischen und schönen Kartonbehälter befinden sich von der bekannten Little Venice Company 20 klare plastic Einweg Spritzbeutel. Perfekt zum Dekorieren der Cupcakes und Cakes mit Buttercreme. Die 0815 Tülle unter den Tüllen. 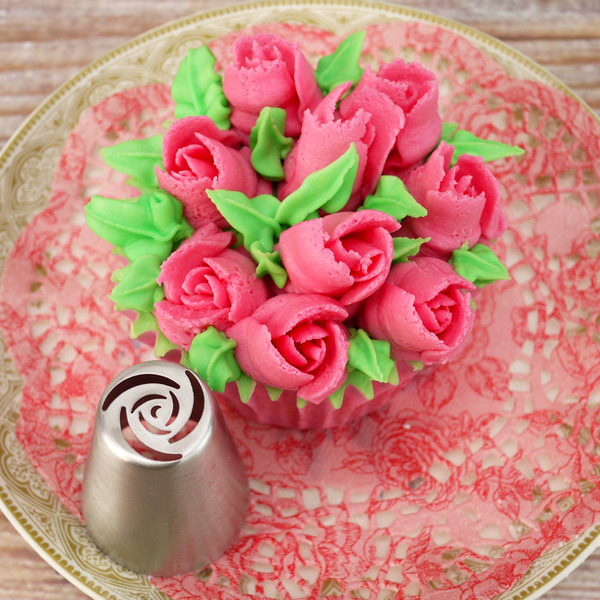 Ideal für Cupcakes! 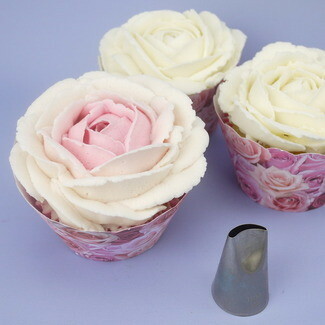 Mit dieser Rosen Tülle entstehen schöne Buttercreme oder Icing Rosen! Use these flower piping tips to create something extra special on your cupcakes and cakes. The set includes 11 metal nozzles from Simply Making and these are ideal for piping a variety of pretty floral designs with ease and in no time at all. 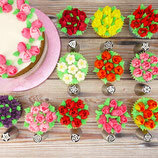 Start by covering the top of your cupcake with a layer of buttercream, then take your chosen nozzle and put it in a piping bag, add buttercream into the bag and pipe flowers onto your cupcakes. Using buttercream in different shades or multi colours in the same piping bag works particularly well and gives a stunning effect. 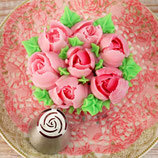 To finish off your floral cupcakes, pipe green leaves and foliage in between the flowers. 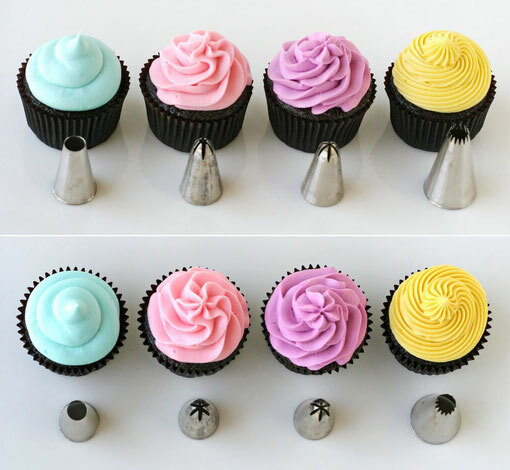 Add beautiful buttercream or royal icing roses to your cakes and cupcakes using this set of 2 metal piping tips (nozzles or icing tubes) by Simply Making. 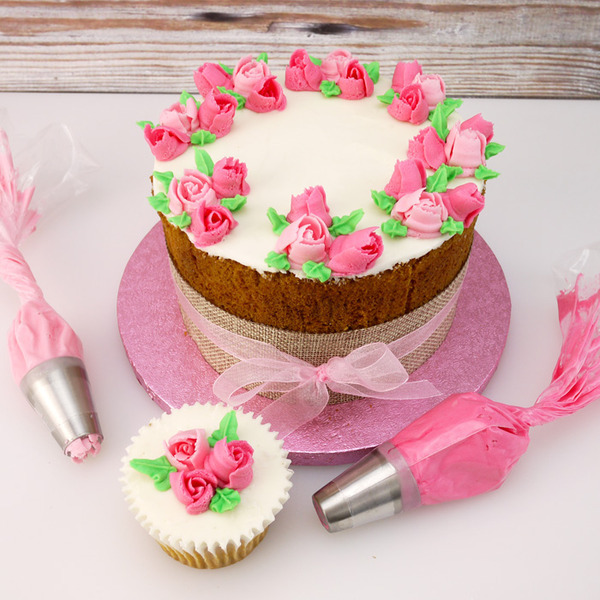 This set includes a blooming rose and a rose bud piping tip, try using two shades of buttercream in your piping bag for a two tone effect and finish off your design by piping green leaves in between the flowers. These tubes are also available in the complete set of 11 piping tips. Praktische Tüllenbürste um alle Tüllen sauber und einfach zu reinigen. Bürste besteht aus Nylonborsten.